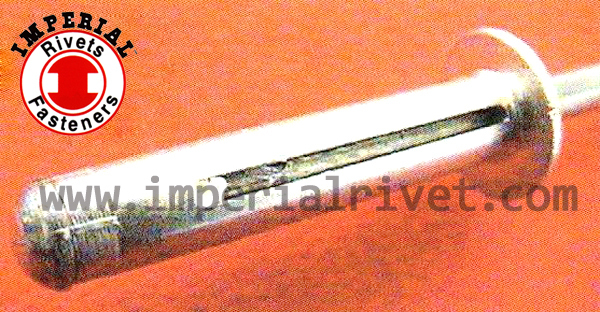 Stretch Folding Blind Rivet-IMPERIAL RIVETS & FASTENERS CO.,INC..
ADJUSTS TO A WIDE VARIATION OF SUBJECT'S THICKNESS. FINISH AVAILABLE IN A MULTIPLE COLOR. 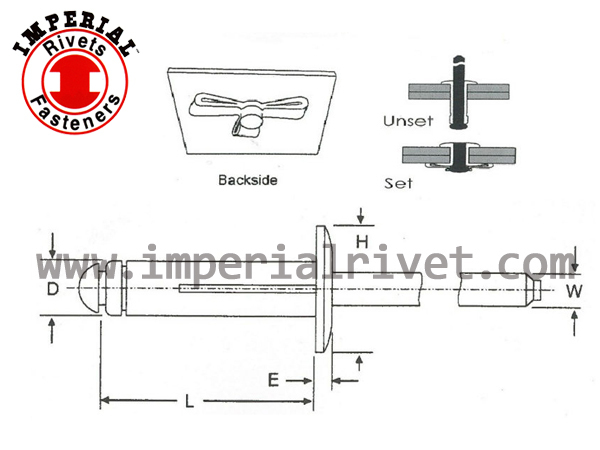 SUPPORTS BRTTLE THIN SOFT OR DUCTILE MATERIALS & FUNCTIONS WHEN USED WITH OVERSIZED, ISALIGNED OR IRREGULARLY SHAPED HOLES. 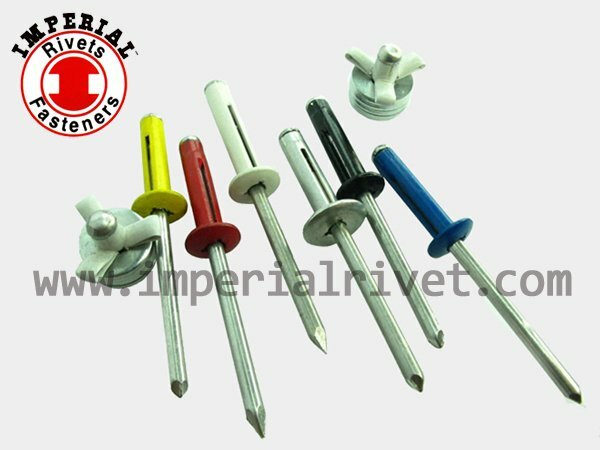 THE STRETCH FOLDING BLIND RIVET FORMS THREE LARGE FOLDING LEGS THAT CREATE EXCELLENT CLAMPOING-UP & A LARGE BLIND SIDE BEARING SURFACE.